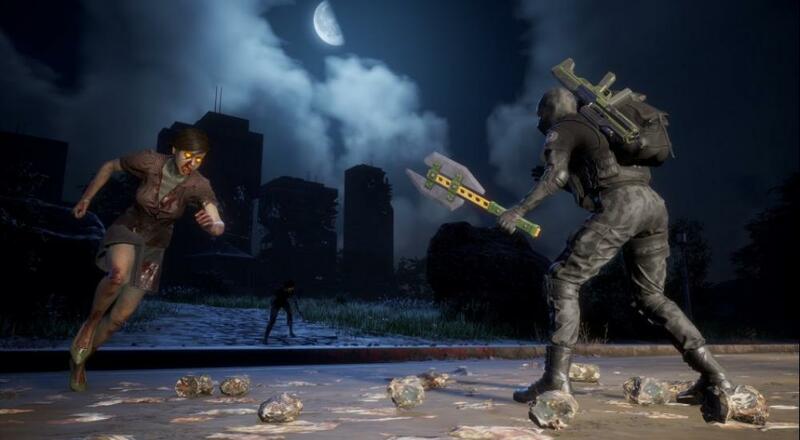 The last time we heard from Undead Labs about State of Decay 2, they were releasing some 4th of July themed weapons and zombies into the game. At the same time, they provided a rough outline of what was next for the zombie-survival game; specifically, DLC that would add a new co-op mode to the game. On Tuesday, they revealed that "Daybreak" will be arriving September 12 and will let four players team up to fight off waves of zombies. Players and up to three teammates play as highly skilled Red Talon soldiers armed with high-end weaponry; together, they will defend a fortified position against waves of oncoming zombies, while a vulnerable technician repairs a critical satellite relay. The DLC will also include eight new ranged weapons, six new melee weapons, and six new explosives that will be usable in the Daybreak mode as well as the main game. Daybreak is included for free as part of the Season Pass in the Ultimate Edition, otherwise it will cost $9.99. State of Decay 2 is available on PC and Xbox One. Four player online co-op is supported throughout the main campaign, though story and base progress are only tracked for the host player. Page created in 0.3598 seconds.